Plastic rotational molding is one of many processes by which raw plastic materials are molded into usable products. The market for plastic products worldwide is very extensive. Plastics are used everywhere, and they are available in an enormous variety of shapes, sizes and compositions. Rotomold refers to the plastic products produced by plastic rotational molding, which are applied throughout industry as containers, equipment parts, light bulb coverings and in many other applications. In commercial settings, furniture, floor mats, lamps, computers, baseboards and storage racks can all be made of plastic or involve plastic components. Consumers make extensive use of plastics in their homes as well. In order to create the wide variety of plastic products on the market, an equally wide variety of plastic formation methods are employed by plastic shaping operations. 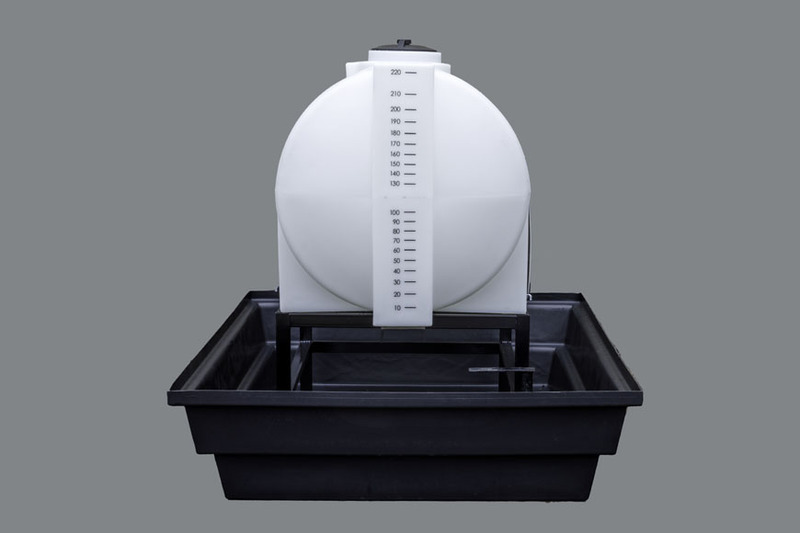 Rotomolding is among the methods of choice for creating hollow plastic products like tanks and containers. Rotomolding can be used to create plastic products out of almost any raw plastic material; PVC, nylon, polycarbonate, high and low density polyethylene and PET are just a few of many examples. Rotomoulding is very similar to other plastic formation processes in that it involves the heating of raw plastic materials beyond their melting points in order to make them formable. Once heated beyond their melting points, certain plastics can be shaped, and, once cool, they retain their shape. Plastic extrusion, injection molding and vacuum forming all involve melting thermoplastics in order to form them. Rotomolding involves the collection of raw plastic in a partially open mold. Once full, the mold is sealed and heated. When the plastic exceeds its melting point, it begins to take the shape of the mold. The mold is then rotated to distribute the plastic so that all of its contours will be covered. By the end of the rotation, the plastic is evenly distributed over all of the surfaces of the mold. The mold is then cooled by water jets or another cooling method. The cooled plastic product can then be ejected from the mold and either prepared for shipment or sent for additional processing like cutting or painting. From start to finish, the rotomold process takes anywhere from 15 to 90 minutes. It can be used to produce very small products in large quantities or large products in small quantities; rotomolding’s versatility is one of its most attractive qualities. Rotomold Rotomold is the word used in reference to rotational molder equipment or to the molded plastic products created by plastic rotational molding.